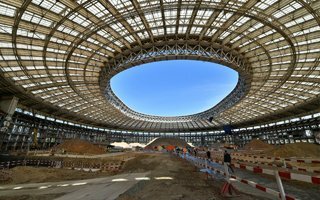 From the removal of seats in September to foundation slab in July – check the progress in photo galleries from Moscow. 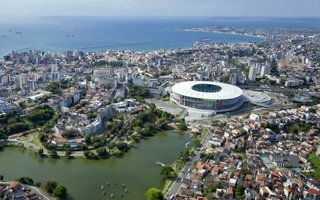 And in the article you’ll find new information about the 2018 World Cup final stadium. 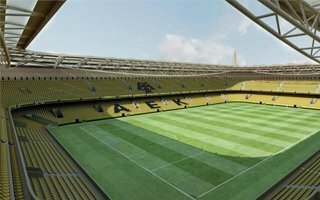 Fans of the Yellow-Blacks had cause for celebration yesterday, as majority of the Parliament voted in support of their new stadium. 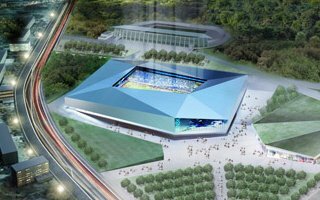 Now the club only needs a planning permission to break ground. 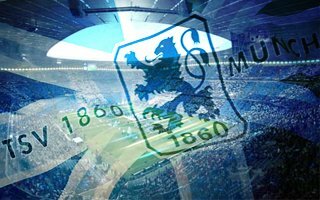 Just when the Munich mayor is said to be open towards a new TSV 1860 stadium, another possible obstacle appears. 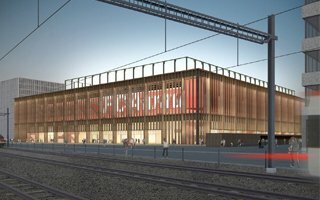 Company managing transport in the metropolis is unsure of the selected site’s transport links. 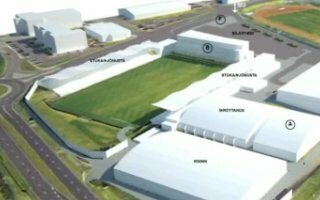 One of Iceland’s most popular clubs hopes to strengthen its position in Europe and will soon have 4 covered football fields. 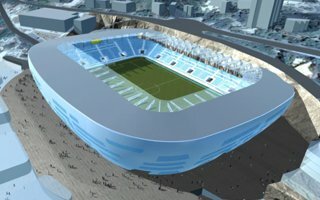 Meanwhile the main stadium will grow to 10,000 capacity, according to icelandnews.is. 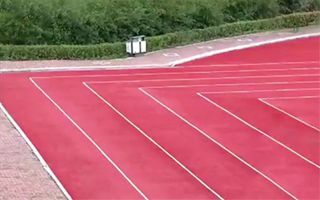 New stadium’s running track in Tonghe is now known worldwide for the authorities’ unusual decision to make no curves. This was an effort to prepare the stadium faster for a Communist Party visitation. Now it’s impossible to run there. 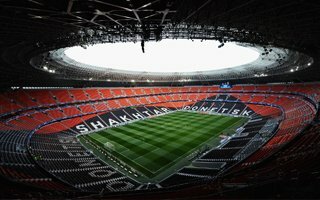 Shakhtar Donetsk began their league campaign today, but holding any game at the ultra-modern Donbass Arena was out of question. 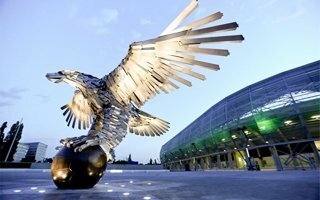 The team have taken up tenancy of Arena Lviv, another Euro 2012 ground. 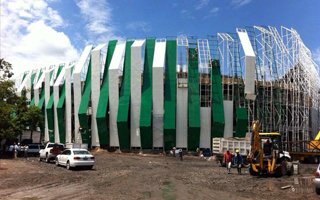 This stadium at the heart of Zacatepec will be able to accommodate almost all people living within city limits. To build it a kindergarten had to be moved, but just what price would you put on reviving a legend? 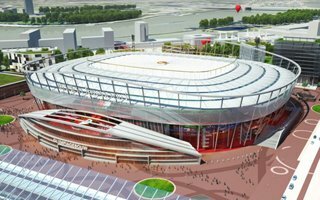 Though their concept wasn’t selected by Feyenoord, the Amsterdam-based practice will still deliver the final design of expanded De Kuip. 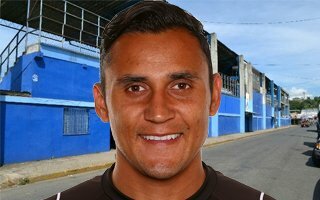 The decision was reached by BAM Sports, tender winner. 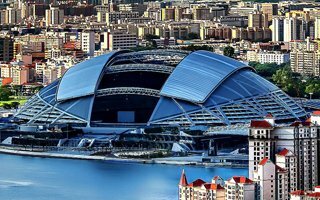 It’s a football-mad country, but has only one semi-decent stadium. 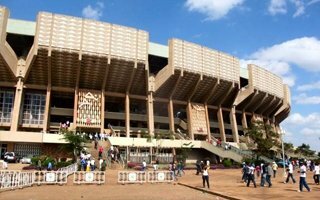 This is to change within the next several years as a massive project was launched to build five national stadiums across the country. 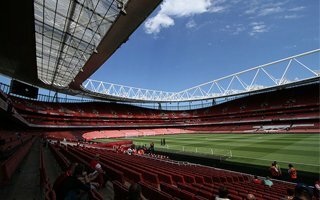 The Gunners have filed for judicial review of their bid to double the number of concerts at Emirates. 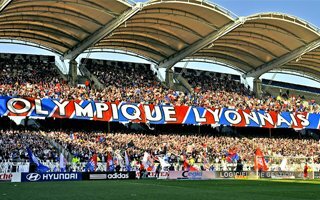 Current cap allows the club to hold 3 events, which is too few. But is it? Local authorities consider it enough. 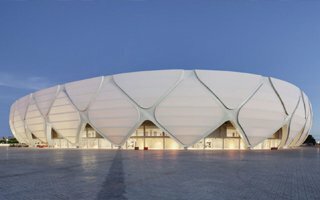 22.07.2014 New design: Mobile roof and air conditioning for Las Vegas? There’s only one more MLS spot up for grabs. No wonder Las Vegas businessmen are showing off their proposition of a retractable roof and air-conditioned stands. 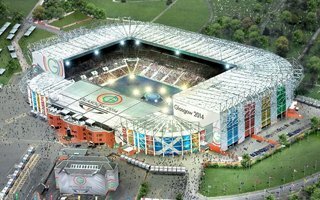 Their bid is shortlisted and might earn the city its first top class team. 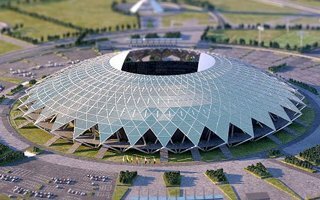 President Alexander Lukashenko signed a decree releasing funds for the new national football stadium in eastern Minsk. 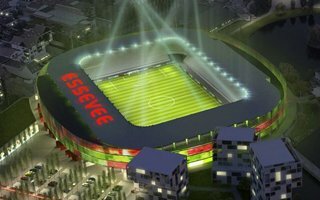 This decision strengthens the Belarusian Euro 2020 bid. 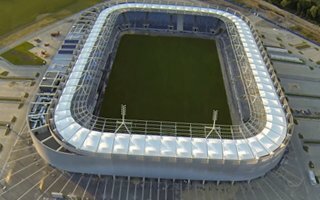 We’re just days from final delivery of Arena Lublin, the newest stadium in Poland. Letter-fitting began on the western façade ahead of next week’s illumination tests. Opening event is scheduled for September. 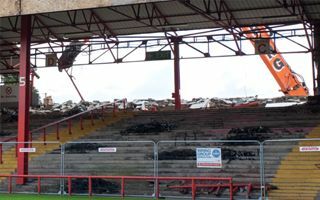 Work can begin on a new ‘super-school’ on part of the former Don Valley Stadium site in Sheffield after it won unanimous approval – TheStar.co.uk reports. 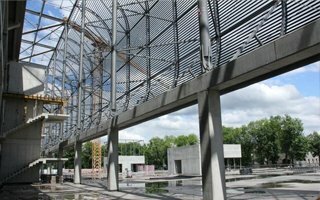 We’ve now learned the exact capacity, surrounding infrastructure scheme and the complete budget. 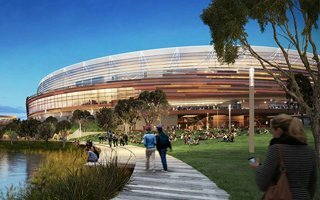 And the latter is immense, altogether said to be €611 million. 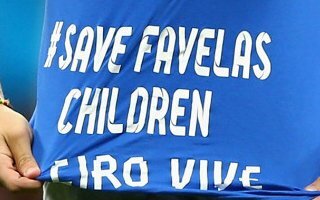 Report by ForzaItalianFootball.com. 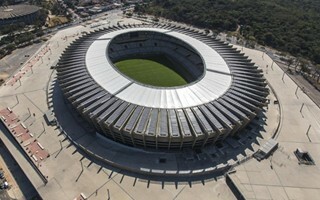 Creator of the new Juventus Stadium was invited to Croatia and has faced perhaps even more challenging project. 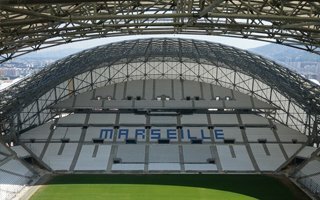 Partly sculpted into the rocky cliff, the new arena is expected to reach UEFA’s highest standards. 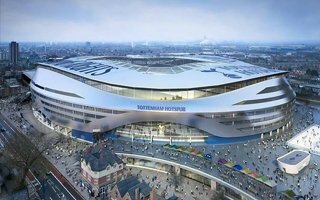 It’s the most anticipated decision in Tottenham – not only the club, but perhaps the whole district. Last local business blocking the area’s redevelopment scheme will now be forced to sell. 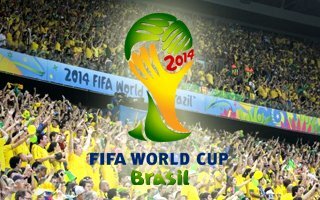 The goalkeeper of sensational Costa Rica will be highly rewarded for his performance. 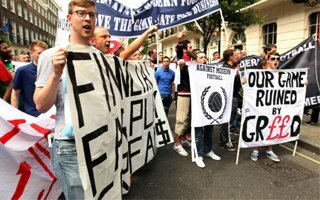 Not financially, but with highest honours. 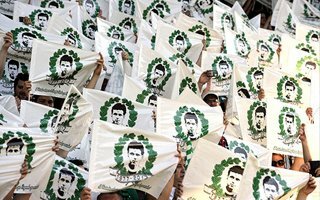 His home city could hardly be more proud. 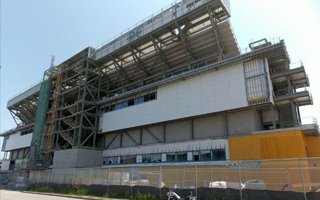 Construction delays are now confirmed to have pushed opening of Tim Hortons Field by at least two home games, maybe more. The team will assess progress in upcoming weeks to confirm actual inauguration. 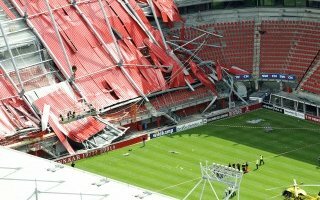 FC Twente and their fans today remember Peter and Dave, two construction workers killed in the 2011 tragedy. 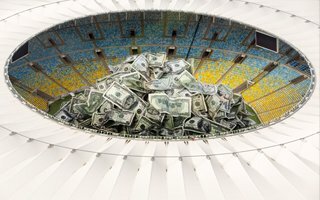 It’s already been three years since the stadium expansion was seized dramatically. 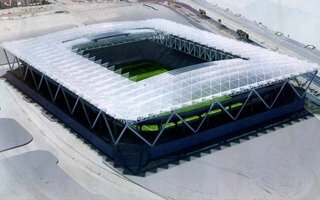 The Euro 2012 stadium in Gdansk should draw much more attention in the coming months. 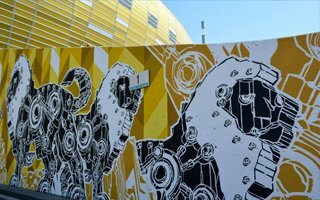 Host club gained a huge boost, the stadium opened a new entertainment zone and a renowned street art artist was hired to decorate the stadium’s footing. 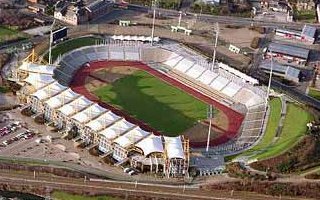 Soon after relocation to the new stadium fans of ADO Den Haag began efforts to save the old ticket booths. 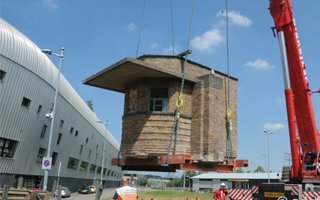 Now, as a result of these efforts, both kiosks were transported to the new stadium. 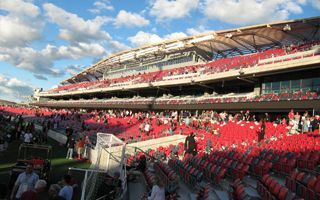 05.07.2014 Canada: Will Hamilton make it for opening? 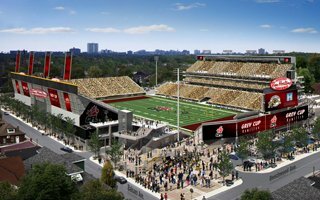 It’s less than a month until the Tim Hortons Field opening game. 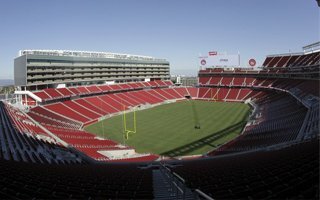 Not many tickets are left, but some seats assigned to those tickets still haven’t been installed. 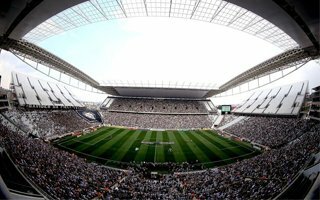 The stadium is already behind deadline, but might be opened unfinished. 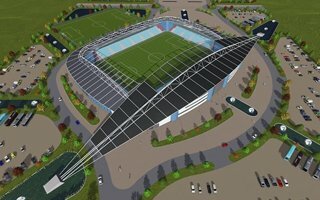 What may have been quite clear for Manchester City supporters was now also announced by the Construction Industry Training Board. 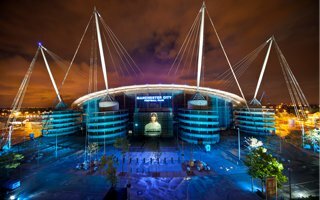 The stadium is among 5 buildings celebrated as the best of English building industry. 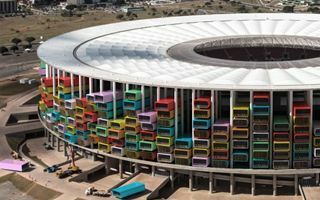 It may be called ‘The Rainbow Stadium’ in exact translation, but there’s little connecting it to an actual rainbow once the redevelopment is ready. Work is on the way as we speak and will last until 2017. 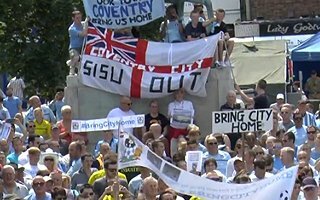 Owners of the English club demanded judicial review of a loan granted to Arena Coventry Limited by the city council. 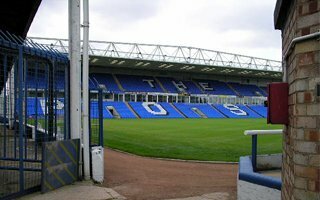 The judge didn’t only disagree with CCFC, he went on to blame the club owners for the need for such a loan. 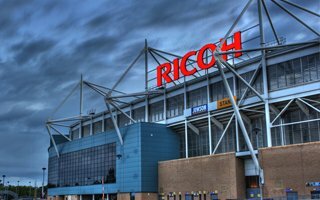 Ricoh Arena dispute goes on. 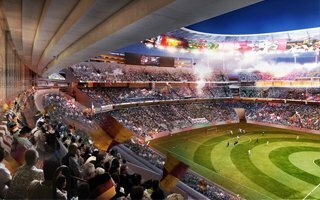 Expansion of one of the world’s most famous stadiums has just moved one more step forward. 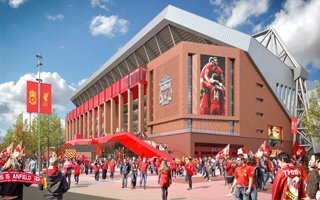 The club selected Carillion as preferred bidder for the £75 million revamp. 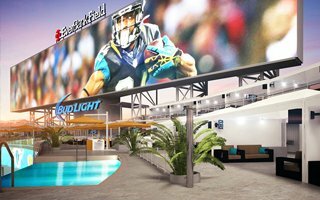 The upcoming NFL season will see significant changes at EverBank Field, the home of Jacksonville Jaguars. 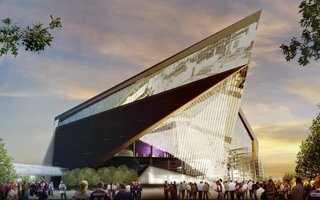 Apart from the world’s largest video board, the stadium will offer spa-like areas for premium customers. Yesterday’s Belgium – USA game was stopped for a moment by Mario Ferri, Italian pitch invader who didn’t mind his stadium ban until 2018. But aside of his moment of fame, he also spent the time to spread awareness. 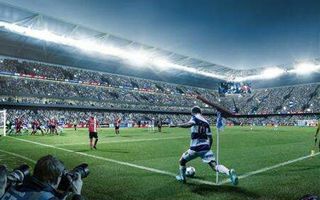 When QPR presented initial renderings of the new 40,000 stadium last year, completion date was anticipated for 2018. 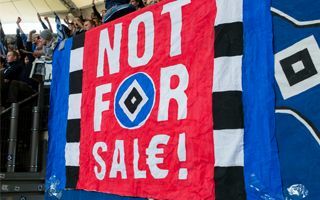 Now that sounds impossible as owner of the land suggests no agreement has been reached.